1University of Baghdad/ College of Education Ibn Rushd/ Department of English Language. Synonymous forms are of importance in language, as they are used to avoid repetition, make explication and clarification. Synonyms can be defined as different lexemes with nearly similar meanings. The present study deals with synonyms in terms of their nominal, clausal, phrasal, and verbal levels. At the stylistic level, synonyms are considered to be a sign of eloquence. The pivotal issue of the present study is to investigate the phenomenon of synonyms in the glorious Qur�an. It also discusses the idea of no total similarity in meaning among words. Amani M. Hussein, Prof. Nidham Sh. 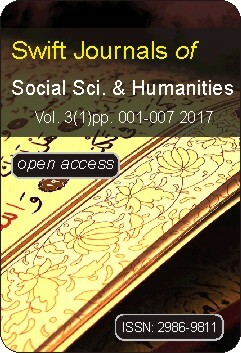 Hameed, Investigating Synonyms in the Glorious Qur'an Swift Journal of Social Science and Humanities 3(1), pp. 001-007.